It’s been a while since I sat down and wrote something like this, so bare with me as I get back up to form. I waited a full 24 hours to see the full range of reaction to the news of Jodie Whittiker being cast as the 13th Doctor, the first woman to be cast in the role, in the series, in 54 years (Yes, I know about Arabella Weir, and Joanna Lumley). Change my dears and not a moment too soon – she IS the Doctor whether you like it or not! He’s also penned a very eloquent editorial about it, which you can read here. I have a very short message for those fans. I will be honest, I wasn’t sure that the BBC would do it. I felt the would be way to cautious with one of their most globally recognized intellectual properties. And when I saw the trailer, I will admit to a certain feeling of trepidation, but at the same time, excitement. I also took a moment to think about some of my favorite moments in the show’s history, and thought about how the scenes would be different, if played by a woman, and I realized, that for the most part, they didn’t change much. I am baffled by the fact that these people are fans of a show, which centers around a time travelling, shape shifting, millennia living alien, who lives inside a box that is bigger on the inside than out, and they can’t wrap their brains about the idea that this alien could possible shift genders. They honestly seemed surprised that this fantasy show, which has been on the air for over 50 years, and has only survived so long because of it’s ability change, is surprised by the decision of the executive producer, when it has been has been something talked about for over 25 years, going back to the early 80’s when Tom Baker left the role. There has always been a subset of any fandom that feels a particularly overzealous sense of ownership of the object of their devotion. And when you feel you “own” something, that makes it very hard to see it any other way. But here’s the thing, we don’t own our fanaticisms. if anything, they own us. And while actors, writers, and directors make art they want us to enjoy, they are under no obligation to make the show that we think we want, or that we think they should. And if they are not making something you like, well, watching is not compulsory. You can change the channel. And just because something is being done differently, it doesn’t take away the enjoyment you experience when you go back and watch it again. 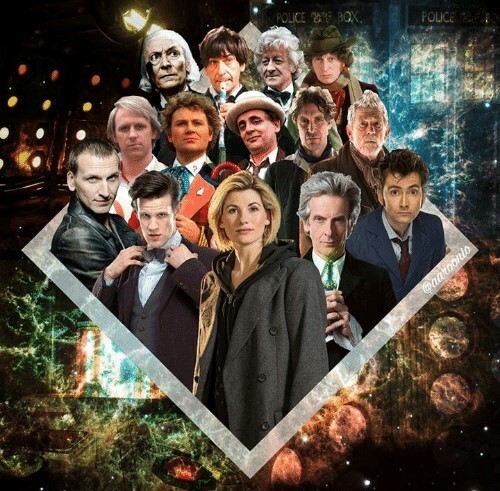 There are over 700 episodes, from 36 seasons of Doctor Who where the Doctor is played by a man. Not to mention hundreds of audios, which feature the same actors, returning the the role, alongside of classic companions, and villains. If you can’t handle the dozen or so episodes that will air in 2018, go ahead and check out all of these. Tagged Chris Chibnall, Colin Baker, Doctor Who, Jodie Whittiker.